Sat1176 had the most liked content! Meditation - My Experiance, Am I Allowed To Share? I don't like to guide anyone as I'm not that far along the path myself. But I will share with you what I was told to do. You are hearing something referred to as Sehaj Dhun. This is how anhad is heard in the early stages. If you listen to some of the videos by Bhai Simranjeet Singh posted he will say that one should not listen to these sounds until one has obtained some sort of mental stillness, i.e. free of thoughts. 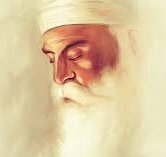 If you struggle with thoughts during your simran then you should stick with gurmantar only until comes a time when thoughts don't bother you so much. It is not recommended to start straight with anhad sounds. If your thoughts are reasonably subdued during simran then keep the gurmantar slowly and gently going in the background and then switch you concentration from dhyan on gurmantar to keeping dhyan on the sehaj dhun. Keeping the gurmantar going on in the background will stop your mind from doing mental acrobatics when it is free to do whatever it wants. If you feel a thought coming on, switch your dhyan back to the sound of the gurmantar until the thought passes and you have mental stillness again. Hope that helps. Another technique of self-surrendering whilst listening to the naad. Simply enlightening. Self-Surrender There may be some days when the seeker experiences a great lack of energy to carry out his spiritual practice—because of excessive fatigue, poor health, or even unfavorable atmospheric conditions. He finds himself weighed down and incapable of stimulating himself sufficiently to approach his meditation in a lively manner. His efforts appear to him to be half-hearted and forced. He cannot reanimate his sentiment sufficiently for his spiritual aspirations to find their strength again so as to support him in his meditation and his spiritual exercises. He feels in a foggy state, inwardly arid, poor, and discouraged. It is precisely at these moments, when he cannot restimulate his mind and his sentiment so as to be able to approach his meditation practice and his various concentration exercises with the necessary fervor, that he must learn the subtle art of “self-surrender.” However, in order to avoid a trap that the aspirant risks falling into without being conscious of it, it is necessary to specify that this delicate approach of “self-surrender” does not, in any way, mean sinking into a state of soothing passivity or pleasant subtle inertia—which could easily occur in an unwise seeker. If the aspirant is not sufficiently attentive and circumspect, he will, before he realizes what is happening to him, find himself cradled in a state of pleasant absence to himself, inwardly sleeping more than ever and even, without being able to control himself, drowsing during his meditation. Unlike that condition of mental torpor (a state of physical or mental activity; lethargy), which may result in a sort of agreeable unconscious resignation from which it would be very difficult to detach oneself subsequently, here it is a question of attaining a very particular state of being, characterized by the highest and most subtle inner activity, accompanied by an intense awakening of consciousness. It is also an act of inward opening, extremely subtle and vivid, through which the seeker puts himself at the disposal of a force within himself which is beyond him and through which he will feel an extremely fine vibration and energy begin to act within him and animate his being. If he wants to progress on this arduous path, the aspirant must succeed one day in combining all the spiritual efforts he tries to make—whether during his meditation or his concentration exercises in active life—with this very delicate and subtle inner act of “self-surrender.” He will thereby come to apprehend, through direct experience, what it means to submit to and allow himself to be carried by a superior force within him, which does not depend on his ordinary will, while continuing, simultaneously, to assume his part of the effort, which he must, in any case, still make in this enigmatic spiritual adventure. This approach of “self-surrender”—which the seeker undertakes at the same time as he tries to meditate or to practice a spiritual exercise—is the most difficult inner act to understand and accomplish. It is only after many attempts and following repeated failures—everything depends on his level of being and his sensibility—that he will succeed. He will then come to realize intuitively the necessity of not intervening when a superior force begins to act within his being in order to support him in this difficult journey in quest of his Divine Identity. To help the aspirant better grasp what is so difficult to describe in words, it is perhaps possible to compare this subtle inner act of “self-surrender” with the attitude of a newborn who surrenders himself quite naturally to his mother, with total relaxation and trust—a way of being that the aspirant must come to feel within him through a particular and lively understanding. He must give himself to something else within him—which, to an extent, will always be beyond him—and allow the space within him to be occupied by this Superior Aspect of his double nature. He must allow It to manifest Itself in his being, according to Its Will and according to what It knows is good for him, so as to animate his aspirations and keep his various spiritual practices alive. If the seeker succeeds in undertaking this delicate inner step of “self-surrender” in a right way during his meditation or his other spiritual practices—without allowing himself to sink into a state of torpor or agreeable lethargy, which could seize him so surreptitiously that he may only realize what has happened to him when he is recalled to himself—and if he succeeds in liberating himself from his ordinary will and from all that he habitually wants and does not want, then an out-of-the-ordinary state of being will begin to reveal itself mysteriously within him. This superior state of consciousness will subtly replace his customary individuality and elevate him to another plane of being that is inhabitual to him. At these privileged moments, the aspirant will feel an immense reverential respect arise within him, because he will realize that what he feels belongs to another dimension, outside time and space, ordinarily unknown. At these most blessed moments, he will be permeated by a strange sentiment of the Sacred, accompanied by an indescribable Love, which will take possession of his being, filling him with tranquil felicity. * * * At the beginning of his mysterious spiritual adventure, the seeker may not realize that this inner act of “self-surrender,” which must, little by little, become for him a permanent and natural way of being, in reality constitutes an apprenticeship and an important preparation for the hour of his death, the hour of the dissolution of his corporeal form—a phenomenon that no living creature (who, for a usually unfathomable reason, has taken on a visible body), no celestial star, not even the Universe can escape. Knowing how to surrender himself inwardly will be an inestimable aid for the aspirant when the moment of his physical death comes and he is carried away by an invisible force, in the face of which he will find himself totally helpless. At that fatal moment, it will be so precious to him to be already familiar with this subtle inner approach of “self-surrender.” All his spiritual work must, in fact, become a preparation for that implacable hour, that crucial instant when he will be initiated into something whose immensity he cannot usually conceive—unless he has already had, during his meditation, a glimpse of that enigmatic state, into which he will be reabsorbed after his death; he will then be more confident and be able to surrender himself inwardly without fear when the moment comes for him. Self-surrender (which also involves renunciation of what one is in oneself and all that makes up one’s ordinary personality) will become easier to practice for the seeker the day he sees, with all of himself, the futility of his habitual state of being—a state of being and a way of feeling in which human beings are so tragically trapped, without understanding their situation or even being conscious of it. This delicate inner approach of “self-surrender,” which the aspirant must succeed in undertaking during his meditation and various spiritual exercises, will teach him to accept that life cannot be other than it is and, thus, to submit to the inevitable with the necessary understanding, which will allow him to bear with courage the vicissitudes of earthly existence. This particular attitude that he must, little by little, come to establish within himself, will also teach him how to assume his destiny without rebelling if that destiny seems difficult to him. It will also prepare him to accept his physical death without resisting when that inexorable moment arrives and the god of death stands before him in all his might, enjoining him to quit the world he has known hitherto for another world with which he will, willingly or not, have to familiarize himself. Paradoxically, “self-surrender”—if it is accomplished in a right way—can open to the seeker a door to the possibility of being. As long as he is not capable of being, he cannot do otherwise than react to the circumstances of external life. People are generally not capable of being; consequently, they have no control over their emotions, their thoughts, or the unfolding of their existence. Ordinarily, everything happens to them involuntarily. To be able to act or to have a certain degree of control over the events of their lives, they first need to be able to be. As long as they remain what they are, it is difficult for them to understand what it really means to act. Without ever knowing it, most of the time they only endure. They are constantly manipulated by those around them and drawn along by the changing conditions of the manifest world, without even being able to give any determined direction to their existence. When an aspirant begins to “be,” not only does he have a little choice in relation to the unfolding of his life, but he also attracts more favorable conditions than those he has known hitherto and which correspond to a new way of “vibrating” within himself. Thus, his new way of being can change the course of the rest of his sojourn on Earth. So as to avoid any misunderstanding about a approach that is so difficult to explain and to put into practice correctly, it is necessary to specify once more that this subtle act of self-surrender does not, in any way, consist in remaining inert and passive; on the contrary, it involves a particular inner opening, which makes the seeker extremely alert and through which the seeker is put into contact with an aspect of his nature that exerts the highest and finest inner activity, which he cannot know in his customary state—an aspect of his nature that never sleeps and that manifests itself through a form of consciousness that he cannot not recognize when it reveals itself to his inner vision. It is also important to emphasize that this act of “self-surrender” cannot, in any way, be conditional. It must, effectively, be accomplished without conditions of any sort, without expecting or anticipating anything, if the aspirant does not want to interfere with the action of a superior force that does not depend on his ordinary will and that may begin to manifest itself within him in order to illuminate his being. His attitude must be like that of a small child who does something simply for the pleasure of doing it. That is why the aspirant must be careful not to expect, consciously or unconsciously, a reward of any sort for any spiritual effort he tries to make. As the seeker detaches himself from his ordinary will and becomes more open and more inwardly receptive, he will see his prayer itself transform into wordless meditation. One has less and less to say, until a mysterious and tranquil inner silence installs itself within one. Only then does it prove possible to begin to hear within oneself what was hitherto inaudible. The Superior Aspect of his nature can be recognized by the aspirant only in the interval or the void separating two states or two thoughts. In this moment of silence and inner receptiveness, he will grasp this mystery that is usually completely inexplicable. God only recognizes him when he recognizes God! * * * To be aware of being consciousness of oneself is to begin to die to oneself and one’s ordinary will. It is also, paradoxically, to begin to be able to be, because it is only to the extent that the aspirant dies to himself that he begins to be. And it is only to the extent that he becomes capable of being that he can begin to act in life in a more right way, instead of simply reacting subjectively—as he habitually does. Self-surrender also involves, for the seeker, the surrender of all the things and all the beliefs that are useless to his spiritual evolution and to which he is so attached. Because human beings are cut off from their Primordial Source, their attachment to material goods, their beliefs, and their various physical sensations has become for them a way of assuring themselves that they exist. Their attachment to the beings and things around them gives them the feeling that their identity is assured; in this way, they unconsciously have the impression of perpetuating the survival of their physical bodies. And, curiously, they are even attached to their various torments, their griefs, and their irrational fears in order to have the assurance that they exist. Now, they do not see that their attachment to objects, to the people around them, and to external contingencies only reinforces their desires, which ceaselessly grow and trap them. Consequently, they draw ever further away from their Divine Essence and become more than ever incapable of regarding the world around them and manifest life in an uninvolved and objective manner. Through the study of himself and his various desires, the aspirant will come to notice that it is always the thought that appears first, then this thought leads to the action; in other words, the intention always precedes the act. There is also a close relationship between the action and the motive that incites the action, whatever it is. For that matter, every desire or every irrational dream of something he cannot obtain only causes torments within him. Moreover, every refusal of a situation or of the conditions of life in which his destiny has placed him only brings him sorrows—with no benefit to him. If the seeker succeeds in detaching himself, even if only a little, from his ordinary state of being, in order to study himself, he will remark the contrast between the rare moments when it is really he who speaks and the long moments when he is quite simply manipulated from outside and driven to speak, the contrast between the rare moments when it is truly he who listens and the long moments when he finds himself in the grip of the external and driven to listen, the contrast between the rare instants when it is truly he who acts and the long moments when, without ever being conscious of it, he is driven by external forces simply to react, and so on. Human beings are unaware of the way in which they are helpless and do not see the extent to which they are simply the playthings of external forces that are beyond them. As long as they remain unconscious of themselves and incapable of being, there can be no choice for them in anything. In the artistic domain, the creation of a pictorial or musical masterpiece can only be accomplished if the painter or the composer is capable, at least to some degree, of being while he brings forth his work. One is dazzled when contemplating the extraordinary paintings of Leonardo da Vinci or listening to the immense orchestral compositions of Richard Strauss or Gustav Mahler; however, the creation of such masterpieces was only possible because, without knowing it, the artists demonstrated, during the creative process, a certain degree of being. When this delicate approach of “self-surrender” is undertaken in a right way, it results in a very particular inner awakening. The aspirant will then be put in contact with a superior force and intelligence within him which will instruct him and guide him during his difficult journey in this form of existence. He will not only be protected from himself and his ordinary desires, but also helped so that his intellectual faculties and his physical aptitudes are used towards a more elevated goal than the dreams and ambitions he pursued hitherto. He will become more conscious of the external impressions he allows to infiltrate his being. He will also be able to see when he is influenced by inferior forces within him and when he is inspired by the Superior Aspect of his nature. However, this act of “self-surrender” must not, in any way, be accomplished with the desire, conscious or unconscious, of obtaining anything; that would be a sterile attitude that would bring him only disappointments or even torments. This approach must be free of all personal interest. Self-surrender, as well as attempts to remain inwardly present and awakened, must be acts of recollection and become a sort of silent prayer for the seeker. It is very important that the seeker realize that is only through his patient and repeated attempts to remain present and conscious of himself in the difficult conditions of the external world that he will break, little by little, the chains of his past karma and will protect himself from any act likely to bring him new karmic debts. He will also weaken and cause to disappear the undesirable tendencies installed within him and, thus, he will change the course of his current life and his future destiny. Moreover, by trying to remain conscious of himself at the same time as he tries to surrender himself inwardly, he will note, in a very particular manner, the uselessness of his ordinary state of being. An ardent wish will then be born within him to liberate himself from his servitude to the insatiable desires of his inferior self, which are obstacles on his route towards the Infinite. What prevents human beings from recognizing their superior nature and attaining enlightenment is that they are not capable of grasping, or rather that they are not ready to understand the subtle aspect that is behind manifest existence. Because of an unfortunate tendency within them to always seek ease in everything and in all that they do, their gaze and their attention are, without them realizing it, only attracted to the exterior and directed passively towards the visible and concrete aspect of life. They content themselves with what their sensory organs convey to them by way of impressions. Meditation practice and spiritual exercises have the precise goal of elevating the seeker’s level of consciousness in order to allow him to inwardly cross the threshold of the tangible and recognize, behind it, the subtle and immutable aspect of his double nature, which the laws of gravity and dissolution cannot affect. As, ordinarily, human beings are unaware of the superior aspect of their being, they lose themselves in the pleasures of the senses, in fantasies of all kinds, which bear no relation to reality or the maintenance of their earthly lives, and in futile mental ruminations that are often even self-destructive. The superior nature within them is a state of grace that eludes the comprehension of the mass of humanity, whose sole interest is centered on the visible and material aspect of Creation. When, through sincere and tenacious efforts, the aspirant succeeds in discovering the Light of his Superior Being and immersing himself in it, subtle creative energies will awaken within him, which will be able to accomplish miracles in his mind and in his way of seeing himself. These subtle energies will be able to give his existence a new direction, completely different from that taken previously. All that used to preoccupy him and be close to his heart before will then lose its importance in his eyes, thus liberating his mind and his thoughts, so that he can put himself at the disposal of this other aspect of his nature. The transformation that will occur in his being will make him capable of apprehending Creation from a radically different perspective. He will draw his inspiration and his strength from an invisible Universe within his being, allowing him to realize his superior destiny and bring wisdom and hope to his fellows who, unaware of the existence of another world within them, live only in discord and perpetual conflict, without gaining any benefit for their evolution from it. Self-surrender is, in fact, a simple approach, but not easy to perform. Because human beings have left the domain of sentiment to fall into that of thought, they have lost a certain tranquility of mind and the sense of beauty. Consequently, they live more and more on the surface of themselves and are now only governed by their minds, instead of being governed by the wisdom and the aesthetic sentiment of their Superior Being. Being thus transformed into a coldly intellectual being, their minds and their emotions have become dramatically active and leave them not a moment’s respite. From this aspect of themselves, they do not know and cannot know peace. Because of the incessant activity of their minds, the screen of clean and immutable consciousness that exists behind all this uncontrolled agitation and din within them always eludes them. Being receptive to something higher within oneself necessitates distancing oneself from what one is habitually and concentrating, without distraction, until one accedes to an inner silence, which alone can allow the Sublime within one to be discovered. When a fierce storm strikes the ocean, the waves attain spectacular heights and furiously crash together. However, although the waves are performing their wild and chaotic dance on the surface, as one plunges into the mysterious depths of the oceans, one finds ever more tranquility, until one comes to absolute calm. It is the same for human beings; the more they succeed in descending into the depths of their being, the more they find inner immobility and peace of mind. Yet, they are like corks without consistency, floating on the surface of the sea, swept along by the waves, which carry them where they will; when one tries to pull them down into the depths, they systematically bob back up to the surface, as though on a spring. * * * Despite their efforts and all the technical means they may invent, however prodigious these means may be, human beings cannot succeed in making permanent their bodies or the objects of their pleasure or the conditions of this world, which, like all things created in time and space, cannot but be unstable and in perpetual movement and which are prey to the god of death—in the same way as the planet, on which they live and on which they depend entirely for the maintenance of their physical existence, is in continual movement, always changing and inexorably destined to disappear one day. One can only know what is immutable and celestial within one when one succeeds in detaching oneself from one’s ordinary desires, in calming the agitation of one’s mind, and in creating within oneself a certain degree of silence. To succeed in this, it is first necessary to accept the inevitable—to accept the precarious and uncertain conditions of this form of existence that cannot be avoided—then to really understand what this important act of “self-surrender” consists in. Despite what the word “surrender” might suggest, paradoxically this action is not, in any way, passive, but rather, as previously mentioned, belongs to the highest and finest inner activity, which has nothing in common with the crude and obvious activity of the external world. It is only when the aspirant succeeds in being conscious of himself in a way that is not habitual to him, that he will come to be sufficiently distant from himself to notice what is happening within him most of the time and which, ordinarily, eludes him. He will thus be able to discover, with a new gaze, the various manifestations and tendencies of his profane self, which are obstacles to his spiritual quest. Through continual repetition of this gaze on the one who habitually acts within him, the distance between the one who sees and the one who is seen will increase and, the greater this distance between the one who sees and the one who is seen, the greater will be the possibility for the seeker of recognizing this mysterious Immutable and Silent Spectator that he carries in his being. The aspirant will begin to perceive better, in brief flashes at the beginning, the aspect of himself from which he must detach himself so as to be capable of seeing what is happening within him. And, as he continues to observe who is acting within him habitually, a very particular knowledge of what must be inwardly sacrificed throughout his whole life—to allow his superior nature to reign in his being—will grow within him, in an ever clearer way. Self-surrender will also prove to be closely linked to the surrender of his ordinary self—of his individuality as he usually knows it. It is only on the day that he truly recognizes the futility of persisting in nurturing the changing and meaningless fantasies of his profane self that he will find the strength to turn his gaze inward, towards that other aspect of his double nature and to use the precious gift of his attention to maintain himself in that state of being that he must, henceforward, try to hold onto with all of himself. However, it is important to understand that the seeker will be unable to renew this effort of presence to himself—which is the condition of an inhabitual state of consciousness—if he is already carried away and engulfed in his customary state of absence, for, once trapped in this state of absence, it is impossible for him to remember to accomplish this particular effort so as to be inwardly present and conscious of himself. It is only after some time of absence to himself, when a recovery of consciousness suddenly occurs within him, that the aspirant will discover that not only was he absent the moment before, but also that this recovery of consciousness mysteriously occurred within him without him having sought it. This state of consciousness, which manifests itself within him in such an apparently unexpected way, is the result of his previous attempts to remain present to himself. This reminder arises within him as a reward for his previous efforts so as to help him better grasp what is involved for him in this spiritual practice that is so out of the ordinary and what his contribution must be in this strange adventure. What is required of the seeker at such moments is to try, with all his seriousness, to prolong this precious inhabitual presence for as long as possible, before it deteriorates and once again merges with his ordinary state and he loses it completely. It is necessary for him to realize that, once he has felt and recognized this particular consciousness within him, his task will then consist of trying to preserve it for as long as possible or, at the very least, to renew it before it becomes too weak and finally vanishes completely. By constantly trying to revive this state of presence within himself every time it begins to deteriorate and lose its initial force, the aspirant will, little by little, come to know the weak points that cause his fall. He will also be able to see once more that this inhabitual consciousness of oneself inevitably involves the renunciation of oneself and what one usually is—this habitual way of being and feeling which is so deeply rooted in human beings following long conditioning and to which they are not only enslaved, but also, curiously, tragically attached. Every time the seeker tries to remain conscious of himself, he will remark ever more clearly his enslavement to his customary state of being and the various penchants within him which prove to be obstacles to his spiritual aspirations. Thus he will understand, from the depths of himself, the necessity of liberating himself from all these tendencies in order to be capable of obeying something more elevated within him. It is only to the extent that he succeeds in remaining present and joined to this other aspect of his nature that the transformation of his undesirable traits can be effected. The aspirant’s attitude plays a determining role in this difficult inner approach. What matters here is that he continues to observe the manifestations of his inferior nature with the necessary tenacity and patience, but in an uninvolved way and without allowing, at any moment, a feeling of guilt to install itself within him. Corporeal sensation contributes enormously to helping the seeker become more present and conscious of himself. It also encourages that movement of “coming back to oneself” as well as a state of recollection, which is so important on every spiritual path. When the seeker succeeds in holding onto this particular state of consciousness and increasing its duration, it will prove to be both a detachment from what he usually is and a mysterious inner act of wordless prayer. Furthermore, he will discover that his desire to maintain this state of consciousness of himself is, in reality, a secret and imperative need to be. He will come to realize, from the depths of his being, in a way that is quite impossible to describe in rational language, that sinking into his habitual condition of absence to himself or waking sleep is a death and that, conversely, every time that inexplicable movement of coming back to himself occurs—after a brief or long moment of absence—and he finds this inhabitual state of presence again, this recovery of consciousness of himself is a true resurrection. He will then realize, in a way that will shake him, that this spiritual quest is truly a matter of life or death for him. * * * It is only to the extent that the aspirant is capable of remaining present to himself that he can be. However, he must first renounce in order to be able to be and, paradoxically, he must also be—at least to some degree—in order to be able to renounce. Thus, renouncing and being are two conditions that, on a spiritual path, are in continual interdependence. When the day comes that the seeker has the experience of being, even if only weakly to begin with, a strange intuition will arise within him. He will understand that, in fact, one does not need external supports or a physical body to be able to be and that, deep down, being is his true nature—which, generally, remains hidden from him, veiled by his ordinary personality which always needs external stimuli to succeed in feeling its existence. As long as human beings remain as they are, ignorant of their True Identity, no choice is possible for them in the unfolding of their sojourn on Earth; everything happens to them without them being able to change anything. To begin to have a little choice in life, it is first necessary to be a little. And to be able to be, it is first necessary to renounce. Now, to be able to renounce, it is necessary to have understood. Finally, to be able to understand, it is necessary to know what sort of questions to ask oneself—and how to ask them. If these questions are taken seriously by the aspirant and he is capable of keeping them alive within him, with the ardent desire to discover the enigma of his existence on this Earth, they will then, little by little, engender within him the intuitive understanding that his immortality—a word that falls so easily from people’s lips, but whose real meaning is generally so misunderstood—depends on his capacity to be. The seeker needs to accept participating with the Divine in the creation of his future being by making, throughout his life, efforts to regularly practice meditation as well as various spiritual exercises in active life. The Divine cannot oblige human beings to renounce their own will—what they are, what they want and do not want ordinarily—in order that Its Will be done. It would be unjust to force them and it would also not be in accordance with the rules of the Cosmic Game. The aspirant must, of his own accord, come to consent, through a vivid and sincere comprehension, to helping his Creator in Its Mysterious Work so that his accession to a completely different plane of being might be accomplished—a particular evolution, inconceivable to human beings in their habitual state. It is first necessary to understand in order to be able to renounce. It is first necessary to renounce in order to be able to remain conscious of oneself. It is first necessary to remain conscious of oneself in order to be able to be. And, paradoxically, it is necessary to succeed in being a little in order to be able to remain conscious of oneself. It is necessary to succeed in remaining conscious of oneself, even if only a little, in order to be able to renounce. And it is necessary to succeed in renouncing, at least to some degree, in order to be able to understand. Understand what? Renounce what? What does it mean to remain conscious of oneself? What does it mean to be? If someone is not profoundly motivated to approach such practice, the immensity of this spiritual work will frighten him and the tenacious efforts to be made will deter him. However, if the seeker tirelessly pursues his efforts—without considering a distant goal, but only the present moment—he will be able to continue his spiritual practice without becoming discouraged. He will nevertheless need all the help possible to accompany him and support him in his mysterious journey towards the Infinite. Thus, in addition to the corporeal sensation, mentioned earlier, he will sometimes have to use his breathing as a support. Taking a slow, deep breath from time to time during the day, with a brief retention of the breath after the inhalation, constitutes an aid to recenter oneself inwardly and find again in oneself that inhabitual state of being. Through these repeated efforts, the aspirant will come to see the extent to which he ordinarily only lives and acts from the surface of himself. He will then realize that succeeding in centering himself inwardly demands that he let go of and renounce all that usually preoccupies him, as well as surrendering to something within him whose existence he can only sense in the moments when he is trying to distance himself from himself in order to meditate or to perform a concentration exercise. * * * The seeker must remain on his guard and be careful not to approach this spiritual practice with overly rational thought, for this would smother the intuition within him; it would prevent him from accomplishing in a right way this subtle approach of “self-surrender”—which is of extreme importance in this quest. Furthermore, overly rational thought could eventually engender physical, psychic, and emotional tensions within him. Through continual practice of this inner act, the aspirant will finally discover that the fact of being conscious of himself and self-surrender are both closely linked to his sentiment and to a particular awakening within him. He will also perceive that this approach cannot be undertaken while relying on his mind or cold and rational thought. If he accomplishes it in a right way, he will then find himself in a state of extreme tranquility and inner receptiveness. The seeker can use the following exercise, (The author has never allowed a day to pass without practicing this special exercise for half and hour himself – often longer, when his activities allow him to) as an aid, in order to succeed in sensing what this subtle “self-surrender” consists in. He must lie down on the floor (or on his bed) with his head on a fairly flat cushion and his arms alongside his body. He needs to bring his attention to bear on all the parts of his body that are in contact with the floor (or his bed) and try, relentlessly, to remain conscious of them. When he can really feel all the parts of his body that are touching the floor, he must then put, or rather “drop” the weight of his body onto all these points simultaneously. He must remain very attentive to the parts of his body that are in contact with the ground and feel them without interruption, while continuing to “drop” the weight of his body onto these points. At the same time, he needs to listen to and follow the mysterious continuity of the Nada, that particular sound inside his ears, while being careful not to be, at any moment, overcome by a state of torpor—which may occur if he is not sufficiently vigilant. Remaining thus attentive to all the parts of his body that are touching the floor and continuing to “drop” the weight of his body onto these contact points, he will begin to feel pervaded by an immense corporeal and psychic relaxation. All his sorrows, his day-to-day worries, and his physical problems will mysteriously fade into the background, making way for a strange well-being that is not of this world. An intense sensation of surrender will take hold of him, and he will then feel the curious sentiment of being carried by an inner force that is beyond him and that does not depend on his ordinary will, which may even bring him the impression of being freed from the laws of gravity—an impression that he may also have when he attains a state of profound absorption during meditation. The aspirant must not, at any moment, allow himself to comment on what is happening within him, nor seek to explain it, in order to avoid interfering with this mysterious process which he must allow to act within him and nourish his being. He needs, quite simply, to continue to surrender himself with a tranquil confidence in that force that has awakened within him—just like newborns surrender themselves in the loving arms of their mothers, with absolute confidence, without concerning themselves over what will happen to them or worrying about the protection of their bodies or the satisfaction of their physical needs. The existence of every human being should unfold in the same state of mind as that of a newborn. Seekers must consecrate themselves to their spiritual quests without worrying about their futures, without fearing for the survival of their corporeal envelope, and without having an unreasonable fear of the external world. They must simply live in the present. What has just been said must not, however, be interpreted as an incitation not to fulfill one’s duty towards those close to one or not to assume one’s responsibility towards manifest life—which nourishes and sustains the aspirant’s existence in a thousand ways and to which he owes a debt he will never be able to repay. All that he does must be done with the maximum of care and as perfectly as possible, because the way he accomplishes his daily tasks, not only reflects what he is in himself at the present moment—and, consequently, has a favorable or unfavorable effect on his spiritual practice—but also determines what he will inevitably become in the future, for better or worse. When a certain threshold is crossed—whether during this exercise of “self-surrender” or during his meditation—the seeker must quite simply remain in a peaceful state of watchfulness, without seeking, desiring, or anticipating anything. He needs only to submit to that Indescribable Aspect of his nature, in relation to which his ordinary will no longer has any place, and allow It to do what It wants with him. The summit of meditation is reached when the aspirant has lost his individuality as he habitually knows it and he has become one with his Primordial Essence, absorbed into that mysterious Immutable and Celestial Witness that he carries in his being. I was just reading the significance of having a slight gap between breathing. "Taking a slow, deep breath from time to time during the day, with a brief retention of the breath after the inhalation, constitutes an aid to recenter oneself inwardly and find again in oneself that inhabitual state of being." It also helps balance flow in the two nostrils. Bhai Balbir Singh has started weekly Katha on Sukhmani Sahib with emphasis on the aspects of naam abhiyaas and various nashanies along the way. He pronounces it with a very short e, which most are not accustomed to and have never heard it said this way or sung in this manor. But what you need to appreciate is that the gurmantar is being used as a mantra in two quick parts with a distinct pause between the two parts "Wahe-Guru". One for inhale and the other for exhale. As you progress to doing simran faster and faster from bakhari, to quick saas saas, to even rom rom where you are saying it rapidly in sync with each beat of the pulse, you will begin appreciating the method that he uses as it is kept consistent through each of the stages. It takes a bit of getting used to as most are used to saying it in a elongated fashion of waaheeeguroo. This pronunciation won't work with rapid simran. Try for yourself and see. Have you read through the all posts in this thread and the Mediation section already? Newcomers should start there. Expecting us to summarise it so you don't have to make the effort is expecting bit much. We are already sharing with this forum as much as we can as we learn ourselves slowly on this path. There is quite a lot info on the subject here already which has taken years to accumulate. Most who read this thread probably don't believe in it anyway yet. It's one thing knowing about it, and it is another actually practising it. What we have accumulated here is intellectual gyan that those who seek may find useful as it is really hard to come by. From what I have read and understood, the real gyan will come when we actually practice and dive in. The Divine bestows this gyan when we surrender ourselves, and this is very hard to do. Most of us can't even stop the chatter of our mind longer than a minute or two and just be present listening. 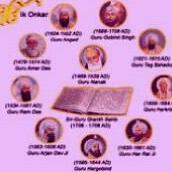 Start with WaheGuru Gurmantar first. Build a solid foundation in this where you can keep your dhyan present and focused on it for decent period of time without useless chatter occurring and your mind drifting off into the waves of other thoughts. You will be astonished to observe how frequently your mind wonders. I bought first one on Amazon Kindle. Then I was offered 30 day free trial on Kindle unlimited where you can read it for free. The 2nd one just reinforces the understanding of the mind and it tendencies to wonder and leave the present moment. There are other good chapters like Introvert vs Extrovert mind. https://www.amazon.co.uk/gp/product/B0713ZW118/ There are a few great chapters. I will see what I can share.